Post news Report RSS	Livestream AMA and $20.000! Good news everyone! We’ve reached ⅔ of our campaign goal. Meaning - we have $20.000! Huge thanks to all of you who backed us and supported us in any other way. We would like to announce something special we plan for next week. 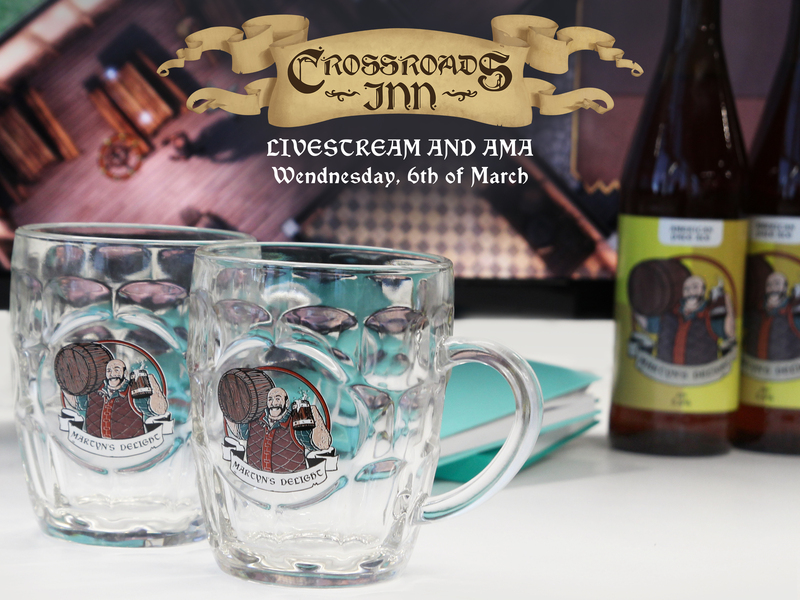 That’s a live stream and “Ask Me Anything” session with the team standing behind the development of Crossroads Inn. So save some time for us on Wednesday, 6th of March. We’ll be answering any question you have regarding the game or our team. Keep your heads up for more news! We still have ⅓ of the road ahead of us and we would appreciate any kind of help very much - whether it’s a pledge or spreading the word about our campaign.